We’ve been to Bantayan Island, Cebu last April, but since there’s so much to do and see in Cebu, we decided to go back. 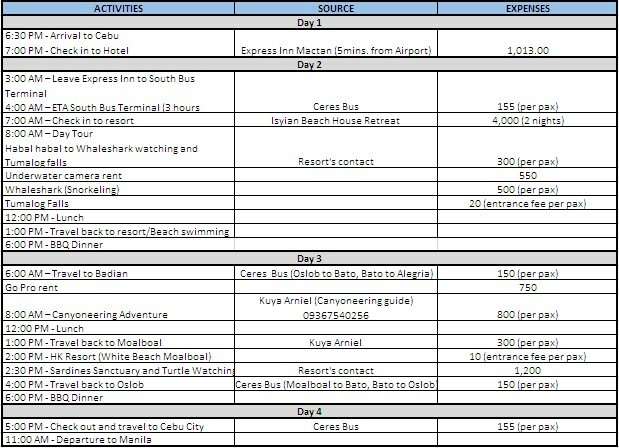 This time, to do more adventure in Southern Cebu. 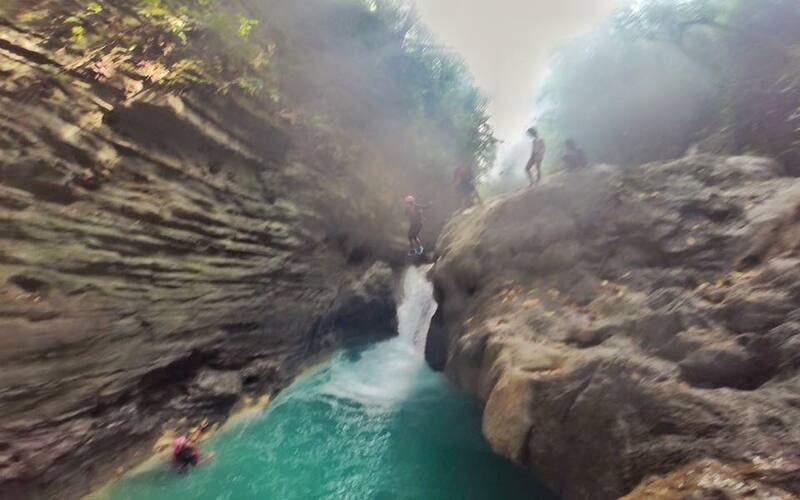 Since I’m a member DIY Travel Philippines Facebook group, I got curious with Canyoneering and researched more about it. 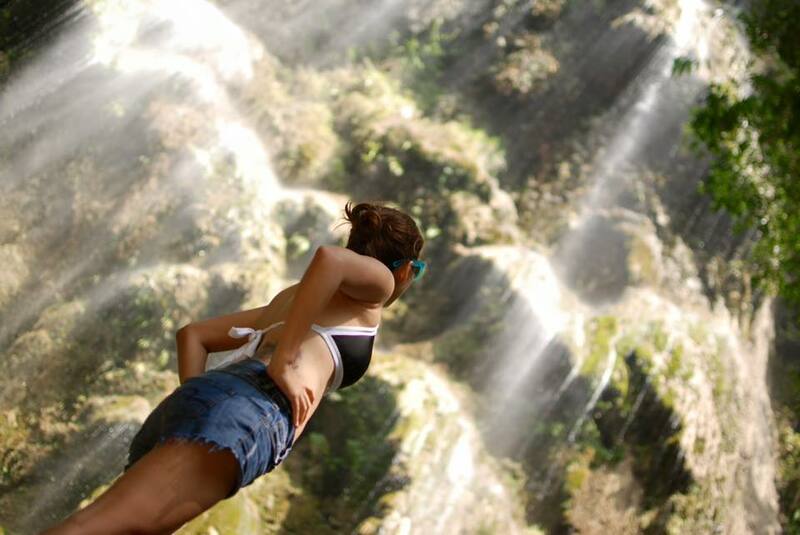 My friend gave me their itinerary and contact person for Canyoneering. 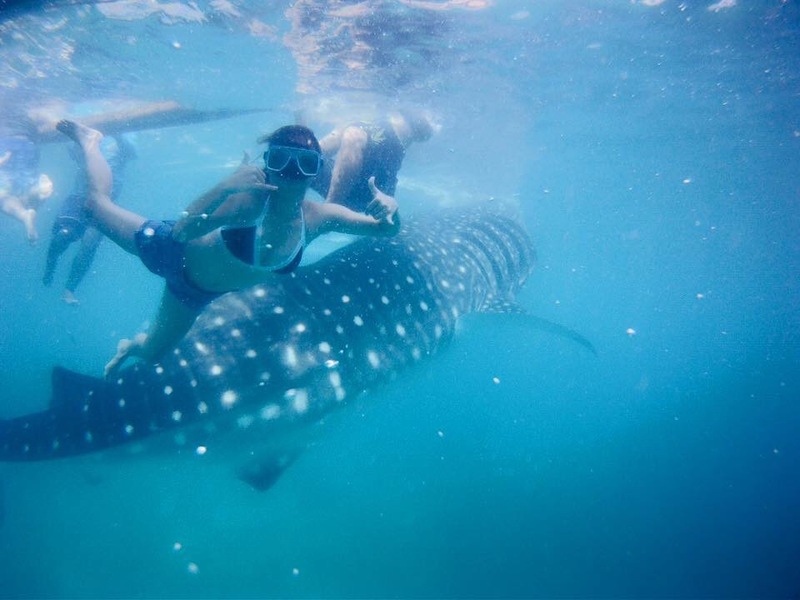 Aside from that, we also want to experience swimming with the Whale sharks in Oslob and see Tumalog Falls. Our flight was supposed to be at 11 AM with Cebu Pacific, but a day before the flight, they emailed and said that it will be moved to 4:45 PM. Amazing isn’t it? I already planned to have a day tour in Cebu City on our first day (Taoist Temple, Magellan’s Cross, Metropolitan cathedral, Heritage of Cebu monument, Skywalk Cebu) but we were not able to. We arrived in Cebu at around 6:00 PM. Upon arrival to Cebu, we just checked in and had dinner then sleep. Day 2 – We got up early morning to travel to Oslob. We took a cab going to the South Terminal bus station and took Ceres Bus going to Oslob. It was a 3 hour ride so we want to be early to enjoy the activities. 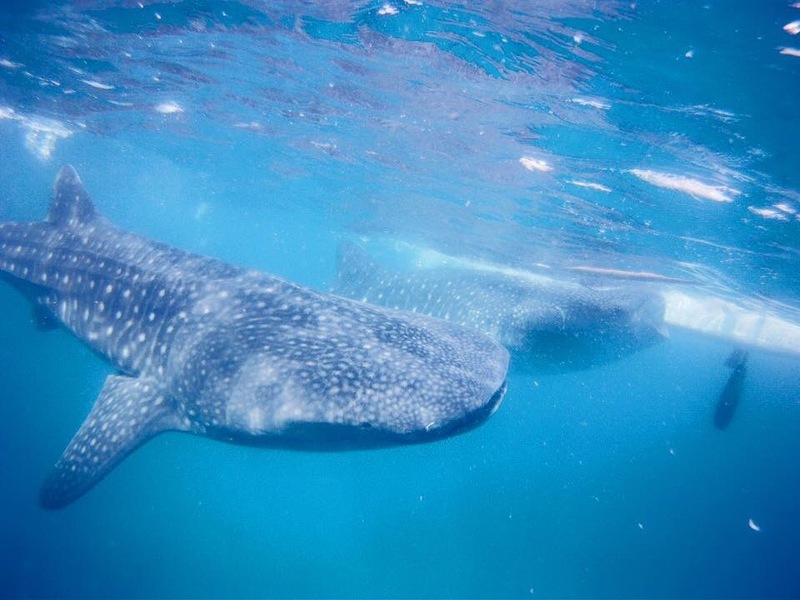 The whale shark watching is only until noon. 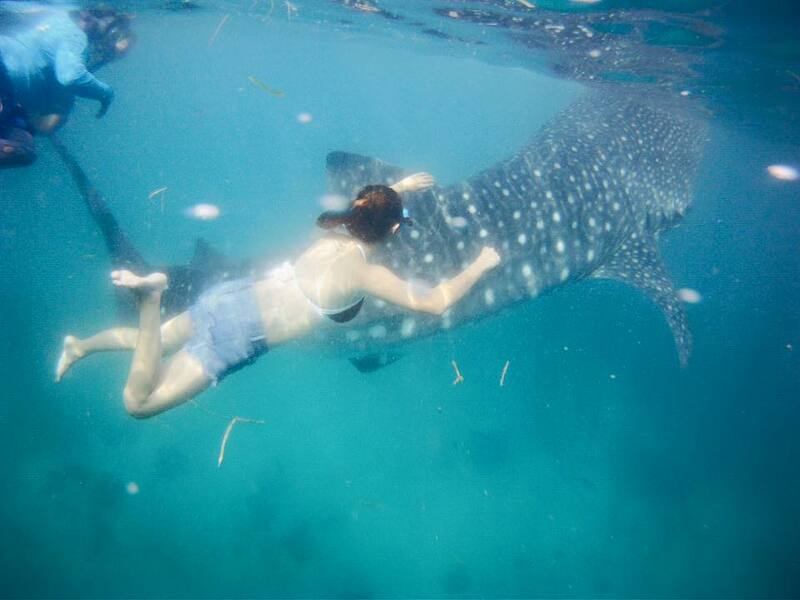 Upon checking in the beach house, we asked the care taker if she knows someone who can take us to the whale shark and Tumalog Falls. We paid Php300 per person for the habal-habal or motorbike. 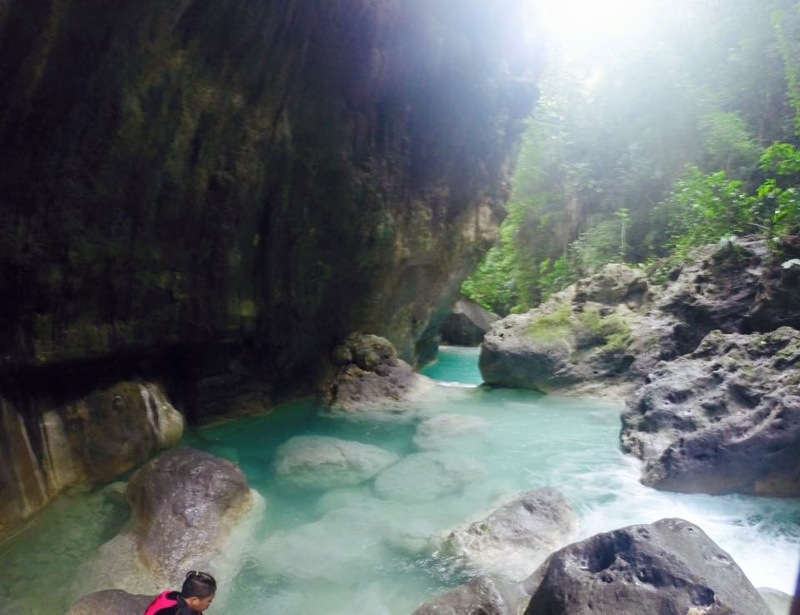 Tumalog Falls. Super cold water and amazing view. Of course we got so tired and hungry so we had lunch after. After lunch, we decided to not take the bus anymore but have Kuya Arniel and the other guide bring us to Moalboal. There are a lot of resorts there, mostly for diving, but at the moment we just want to chill at the beach and see some sea turtles. We rented a boat for Php 1,200 with 3 guides. We went to the sardine and turtle sanctuary. We actually saw 3 big sea turtles, unfortunately there was no underwater camera for rent there so no picture. But here’s a photo of Moalboal beach. Your photos are great. And you are gorgeous!